I have a need to run multiple scala applications on the same server for different domain names. I think I can do this if I have apache or nginx as the front end HTTP server sending the correct address to the correct scala play app. I also need to run all of this on an ubuntu 12.10 server. At any rate here is what I did to accomplish that. I used some of their notes here to help out. First get two hello world scala play programs running on your system. I am going to assume you do not have scala, java, or scala play installed on your Ubuntu 12.10 system. 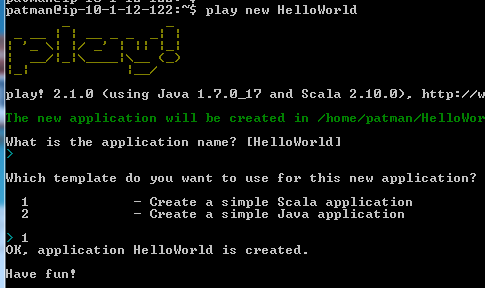 Here you can see scala is using Java 1.7_0_17 from the JAVA_HOME variable. Play will attempt to start, but it has no project to run so it just quits. 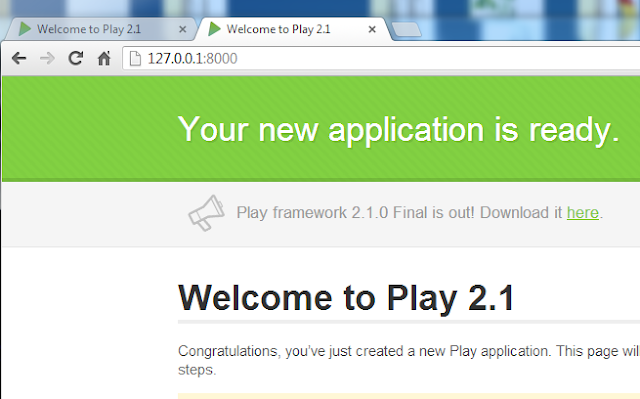 It does display the version of Play, Java, and Scala you are using. This is the bare bones set up. This creates a HelloWorld folder in the current directory. 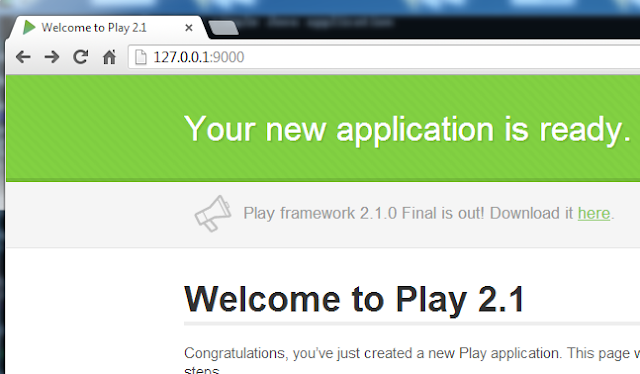 Now that the web application has been created run it. 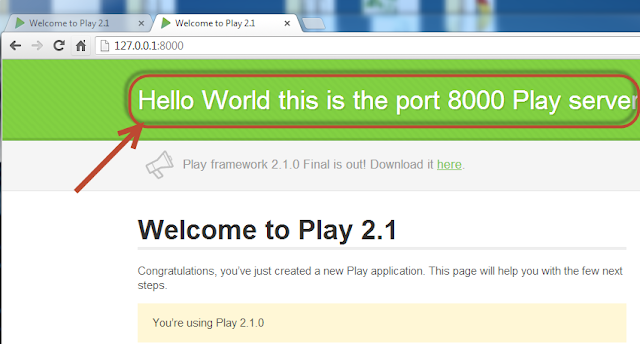 "Hello World this is the port 9000 Play server"
Update this portion of the code with the message and save it. 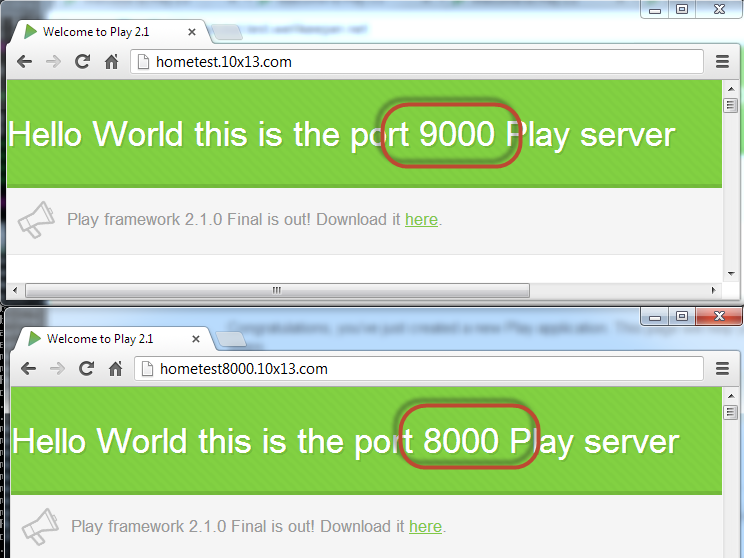 Play auto recompiles it, now refresh your web page. This creates a HelloWorld2 folder in the current directory. 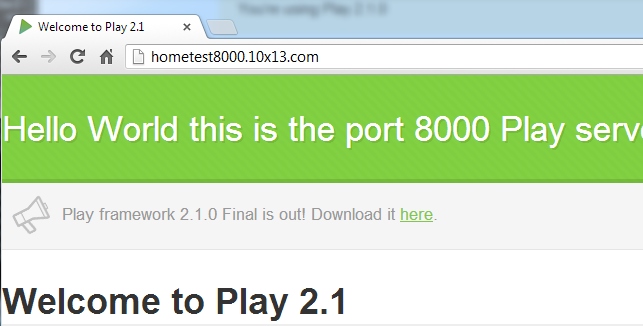 "Hello World this is the port 8000 Play server"
Now that there are 2 Play servers running one using port 9000 and the other port 8000. I am going to try to get Apache to serve as a proxy server for them. Now since I want to try doing this with nginx I am going to remove apache2. Here are the commands I used to remove apache2 from my ubuntu server. Now that there are 2 Play servers running one using port 9000 and the other port 8000. I am going to try to get nginx to serve as a proxy server for them. This is a very simple set up and does not account for https for the servers. 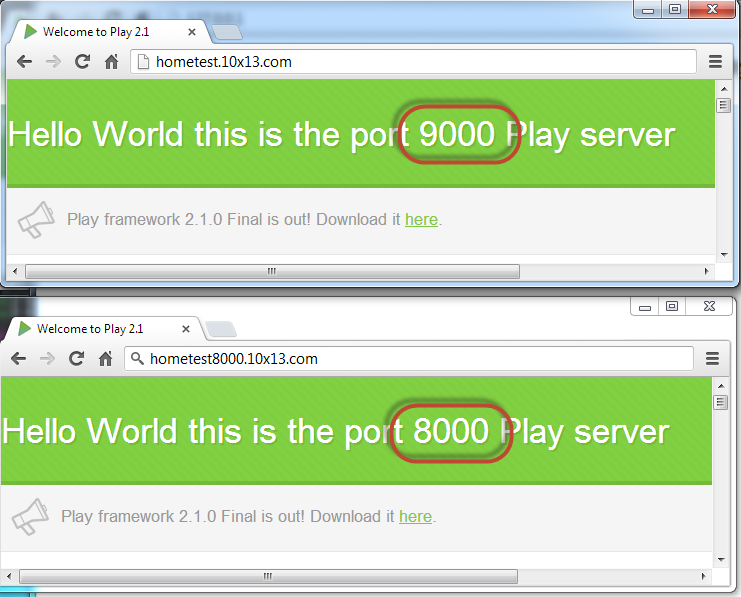 The nginx example at http://www.playframework.com/documentation/2.1.0/HTTPServer  shows the details about SSL.